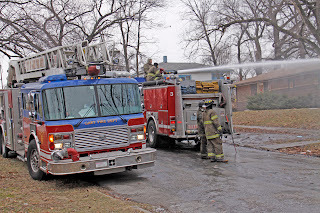 Sunday January 6th, 2013, at about 5:00 in the morning we were awakened by the sound of sirens from a Fire Truck of the Gary Indiana Fire Dept. 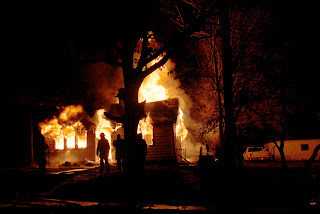 A house across the street from mine was a fully involved infernal. The first fire company at the scene initiated an aggressive attack on the burning structure. The Engine Company flowed more than 500 gallons of water into the burning house, but the intensity of the flames and heat rendered the water almost useless. The second wave of responding fire units were delay by a train and the attack pumper used all of its tank water. Fortunately, the residents of the home were not there. The on-scene firefighters could only watch the fire grow out of control. Open flame vented from every opening in the building. 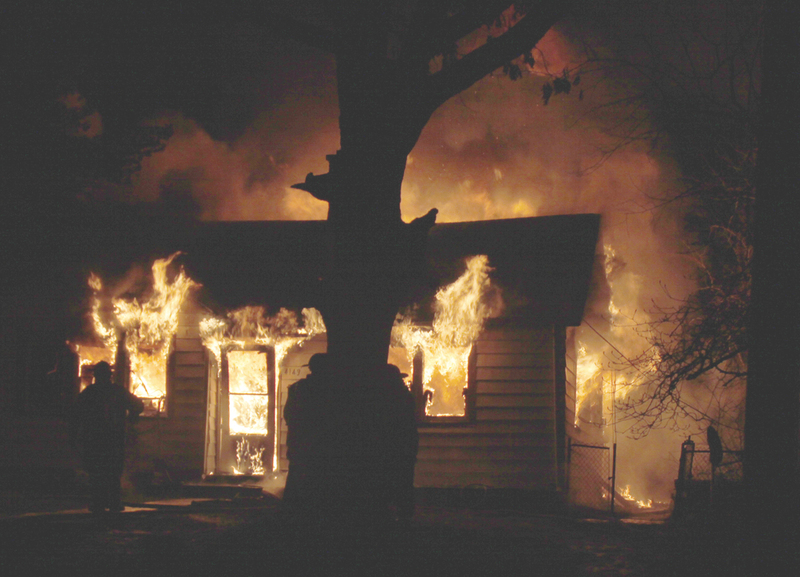 In a matter of minutes the fire had burned through the roof. 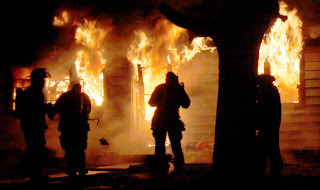 Knowing that a water supply would soon be there, the Firefighters donned their air supply and prepared to attack the burning structure with hand lines. But before the water supply was secured, the fire had consumed the rafters and the roof came crashing down. 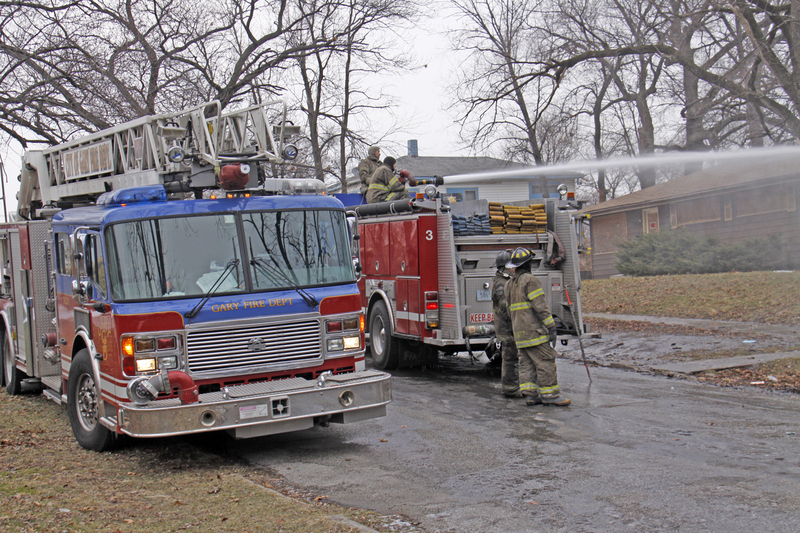 Once connected to a fire hydrant, the Gary Firefighters extinguished the fire in a matter of minutes. After two hours of interior overhaul with hand-lines, axes and pike poles, the secondary search was completed and all hot spots were extinguished. The final act at the fire scene was to flood the structure with water to assure that no smoldering hot spots remained that could cause a rekindle later in the day.